The mosques were packed with worshippers gathering for Friday afternoon prayers, and members of the Bangladesh cricket team were arriving when the shooter opened fire. “This is an evolving incident and we are working to confirm the facts, however we can confirm there have been a number of fatalities,” commissioner Mike Bush said. He said one person was in custody but there may be other offenders and armed officers were attending a number of scenes. “Police are responding with its full capability to manage the situation, but the risk environment remains extremely high,” Bush said. Ardern said she was unable to confirm the number of fatalities, saying events were still unfolding. The Masjid al Noor in central Christchurch was filled with worshippers, when the attack happened, as was a second mosque in suburban Linwood. A Palestinian man in the mosque, who did not want to give his name, said he saw a man shot in the head. “I heard three quick shots then after about 10 seconds it started again, it must have been an automatic, no one could pull a trigger that quick,” he told AFP. 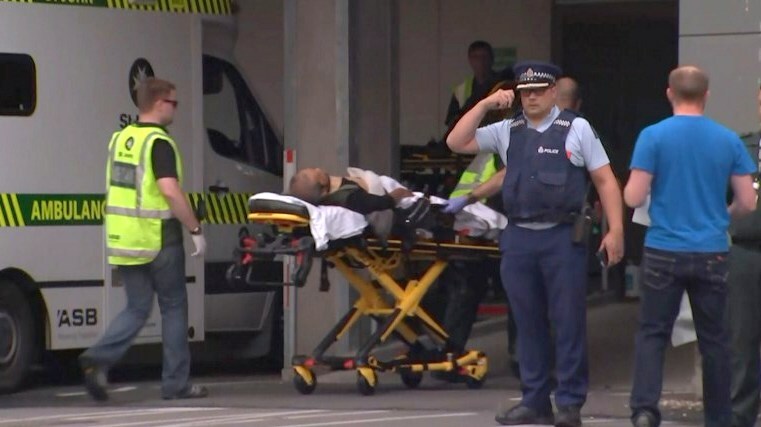 Another witness told stuff.co.nz he was praying in the Deans Ave mosque when he heard shooting and saw his wife lying dead on the footpath outside when he fled. Another man said he saw children being shot. “There were bodies all over me,” he said. An eyewitness told Radio New Zealand he heard shots fired and four people were lying on the ground, with “blood everywhere”. Unconfirmed reports said the shooter was wearing military-style clothing. Commissioner Bush said all schools in the city had been placed in lockdown in response to “a serious ongoing firearms incident”. “Police urge anyone in central Christchurch to stay off the streets,” he said in a statement. Central city buildings, including the Civic Offices and Central Library, were also locked down. The city council offered a helpline for parents looking for kids attending a mass climate change rally nearby. “Please do not try and come and collect your children until police say it is safe for people to come into the central city,” they said. There was no official information on casualties but a Bangladesh cricket team spokesman said none of the players were hurt. “They are safe. But they are mentally shocked. We have asked the team to stay confined in the hotel,” he told AFP. He said the attack happened as some of the Bangladesh players disembarked from a team bus and were about to enter the mosque. He said most of the players went to the mosque. He said Bangladesh cricket board is in contact with New Zealand cricket authorities and would take further decisions after consultation. 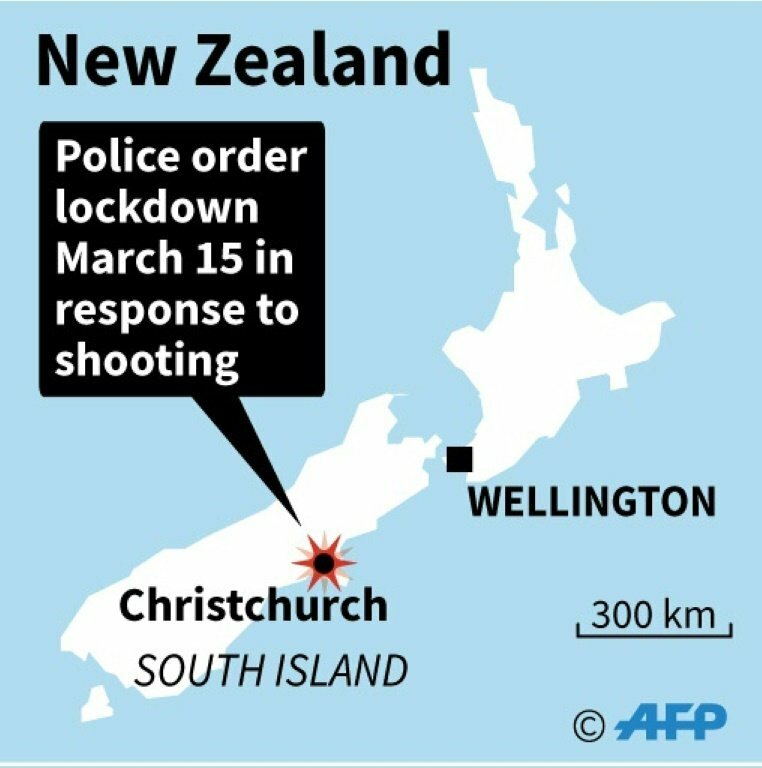 Mass shootings are rare in New Zealand, which tightened its gun laws to restrict access to semi-automatic rifles in 1992, two years after a man shot dead 13 people in the South Island town of Aramoana. However, anyone over 16 can apply for a standard firearms licence after doing a safety course, which allows them to purchase and use a shotgun unsupervised.